The Dalai Lama—and tens of thousands of Tibetan exiles—celebrated his 78th birthday in India, and has urged young people to create a “happier century”. 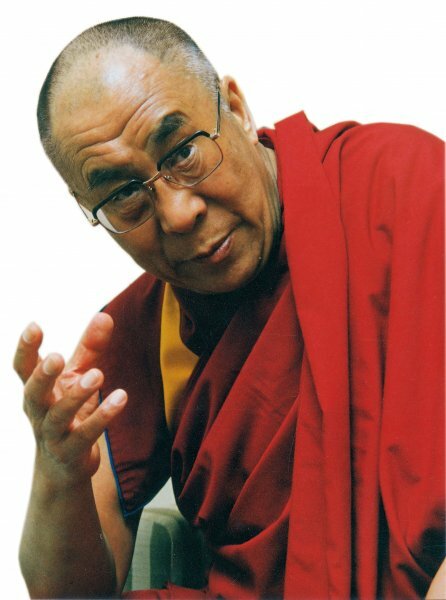 The Dalai Lama said he was counting on young people to created [sic] a "happier" century as he celebrated his 78th birthday on Saturday [6 July 2013] in southern India with tens of thousands of Tibetan exiles. "The present-day generation can create better conditions and build a world where everyone can live in harmony and in a spirit of coexistence," the Dalai Lama, who fled Tibet in 1959 after a failed uprising against Chinese rule, told the crowd. "Youngsters of today have an opportunity to build a happier century," said the maroon-robed monk. "For those of us from the 20th century, there is nothing we can do now." In an hour-long speech, he urged people to "practice compassion" and not just think of themselves, adding that education only has value "when you are compassionate towards others". The Dalai Lama set up his headquarters in Dharamshala, the mist-shrouded northern Indian hill station after escaping Chinese rule. But some 18,000 Tibetans, including 9,000 monks and nuns reside in Bylakuppe, the largest Tibetan resettlement camp in India that houses two monasteries, temples, schools, hospitals, houses and shops. Karnataka has the largest Tibetan population in India. Out of the total 120,000 refugees in India, 40,000 live in the three main camps of Karnataka, while the rest are scattered across northern India, according to official figures.